Midway through the week now and we are ready for our third Meal in 15 Minutes or Less breakfast. 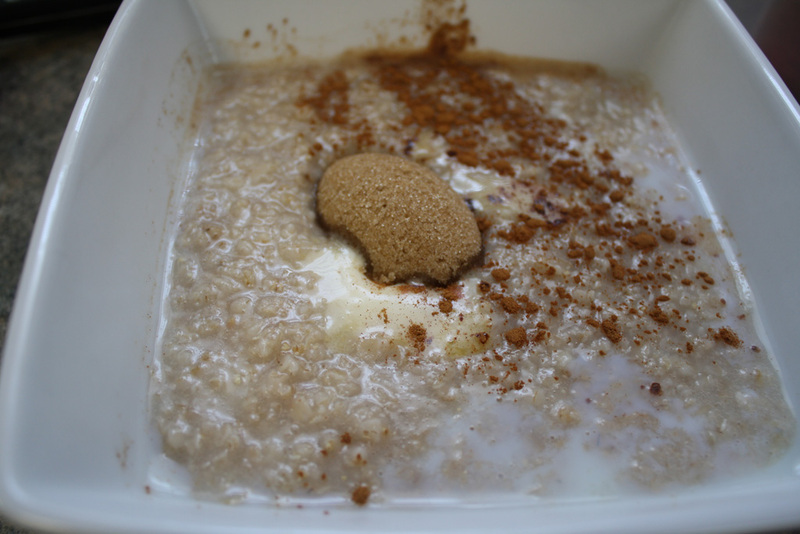 Today we will be cooking up some oatmeal topped with brown sugar and cinnamon. 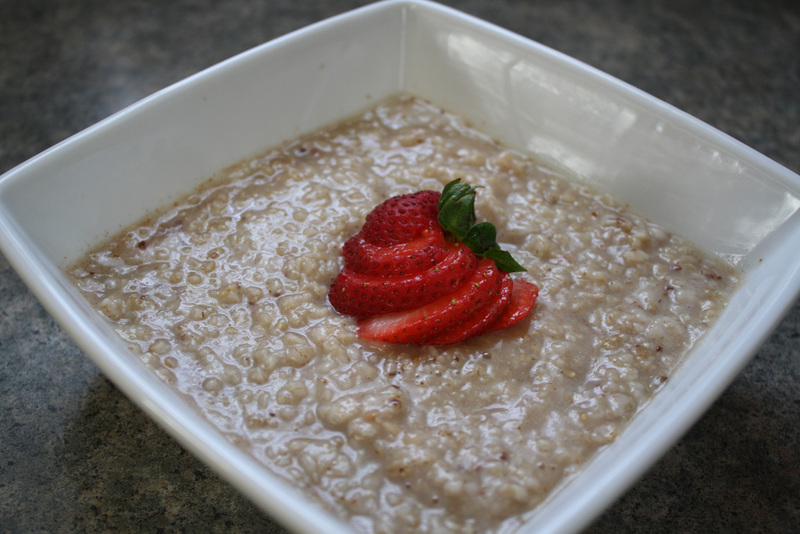 This simple but hearty breakfast tastes good, is good for you, and will keep you going until lunch! Let's get started! Start by pouring the water into a small pot. Bring to a boil. Add oats to the water and cook for two minutes, stirring occasionally. Meanwhile, get out the milk, butter, brown sugar, cinnamon, and strawberry. When the oats are fully cooked, pour directly into your bowl. 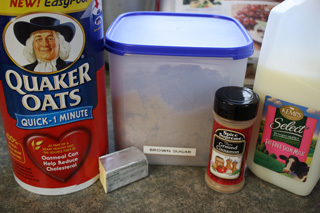 Top with the milk, butter, brown sugar, and cinnamon. Stir together. Then, slice up your strawberry and center it on your oatmeal. The color will spruce up the otherwise bland-looking meal. Add a side of fruit, toast, or juice for another splash of colorful flavor! Enjoy this healthy and fast breakfast!